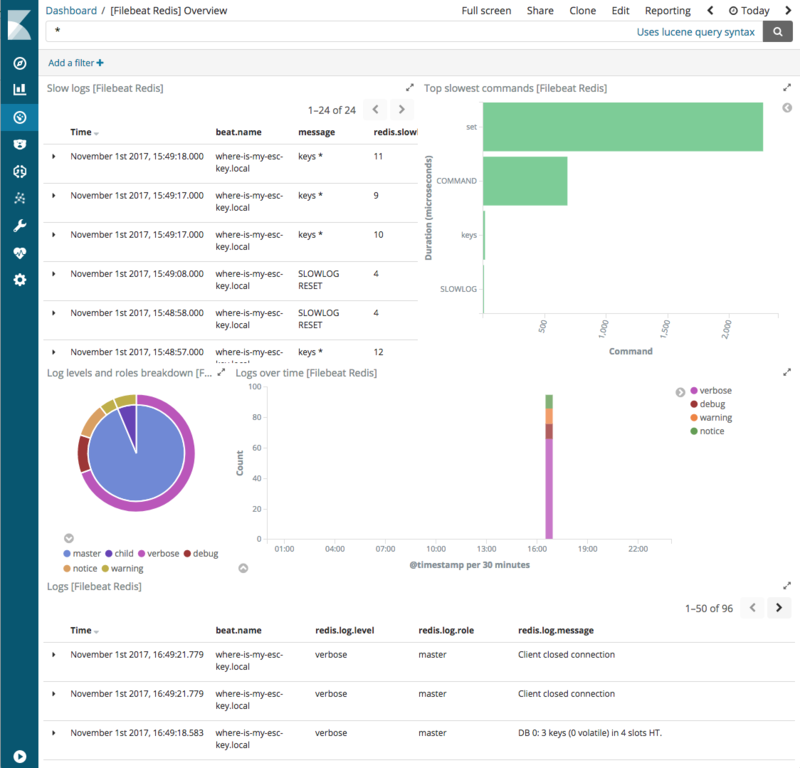 You should be able to visualize your logs and metrics in the Kibana Discover app and in dashboards provided by the Beats modules that you are using. See the getting started guide for details. If you deployed the sample Guestbook application, you will have data in the Apache and Redis dashboards along with the Kubernetes and System dashboards. If you are collecting logs and metrics from your own application, see the dashboards for the modules related to your application.